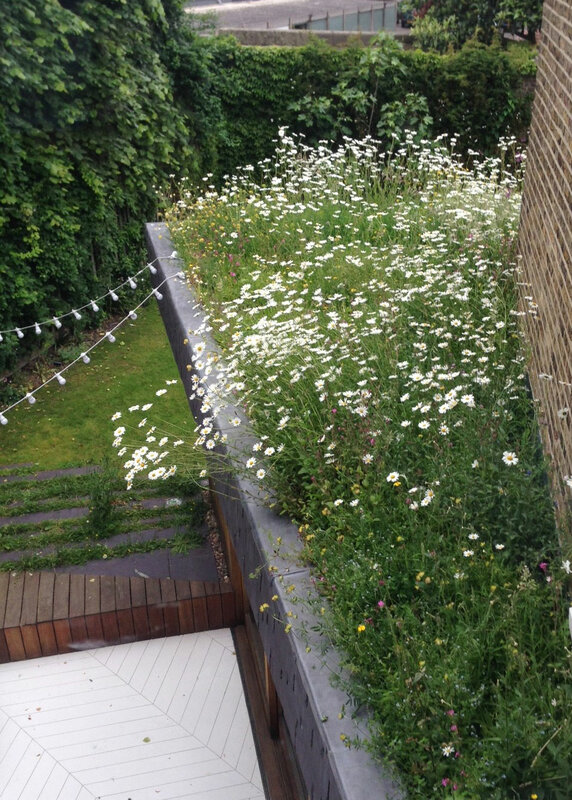 Hairy House - Hayhurst and Co.
Hairy House, named because of the wildflower turf roof, is an extension to a Victorian end of terrace house. 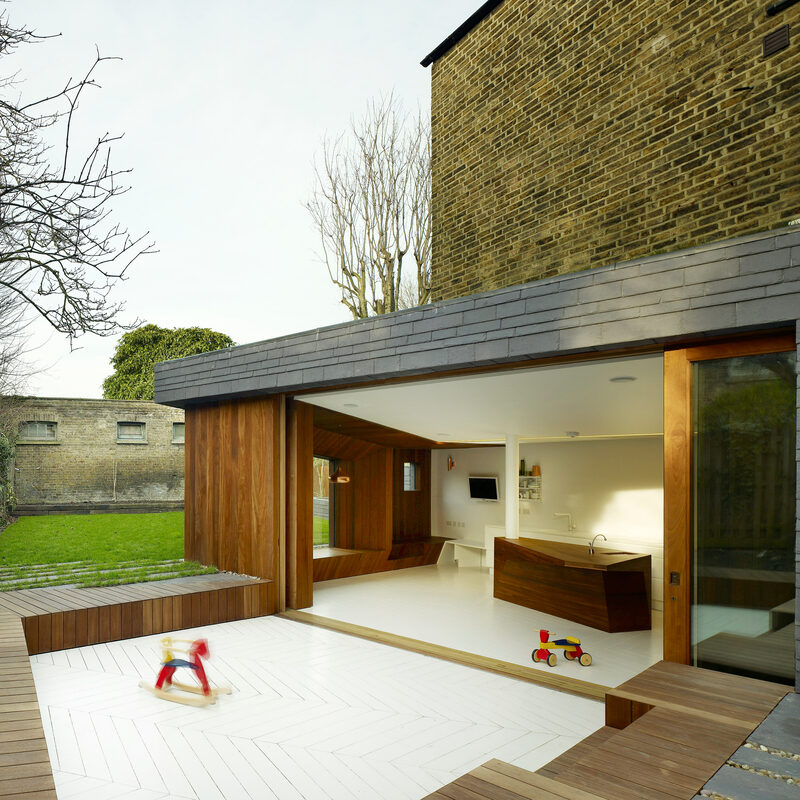 Replacing a dilapidated lean-to, the extension provides a new family kitchen, dining and play space. 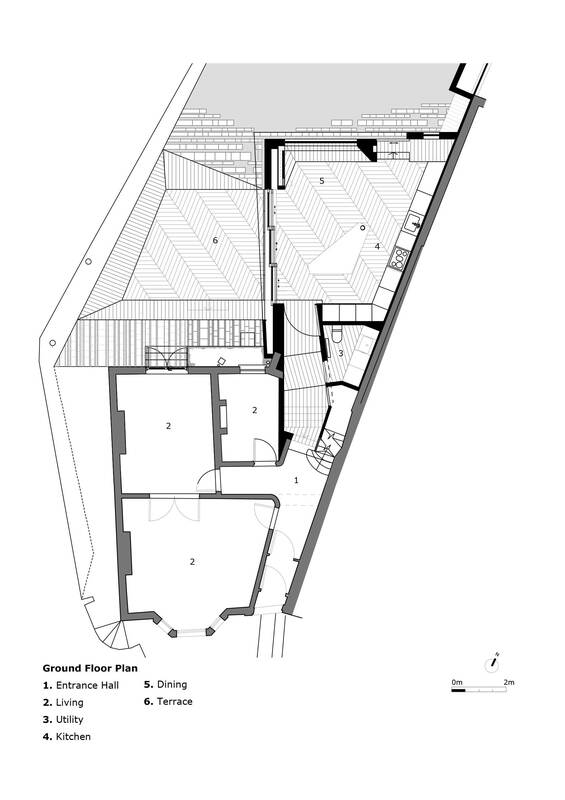 The simplicity of the brief was accompanied by a desire to use the opportunities afforded by the unusual geometry and stepped level changes in the site to create a unique architectural response. 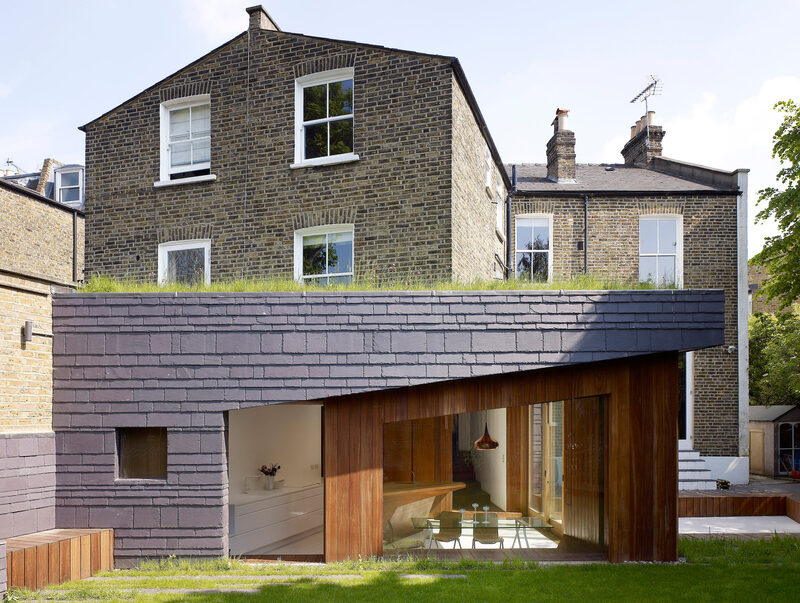 The design of this room – a simple rear extension – is conceived as an architectural negotiation between the order of the existing Victorian house and the patterns of modern domestic life. 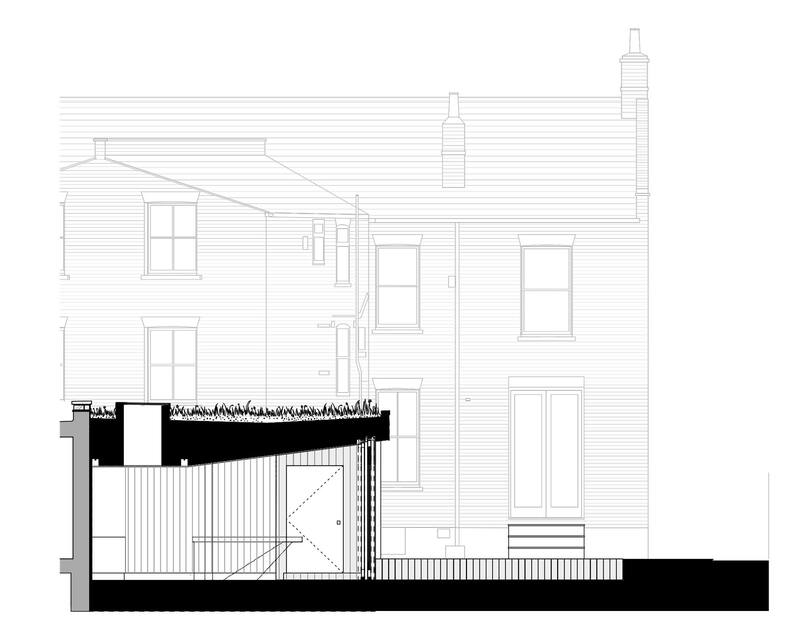 The project includes design features that abide by the rules of the existing house and others that seek to challenge them. 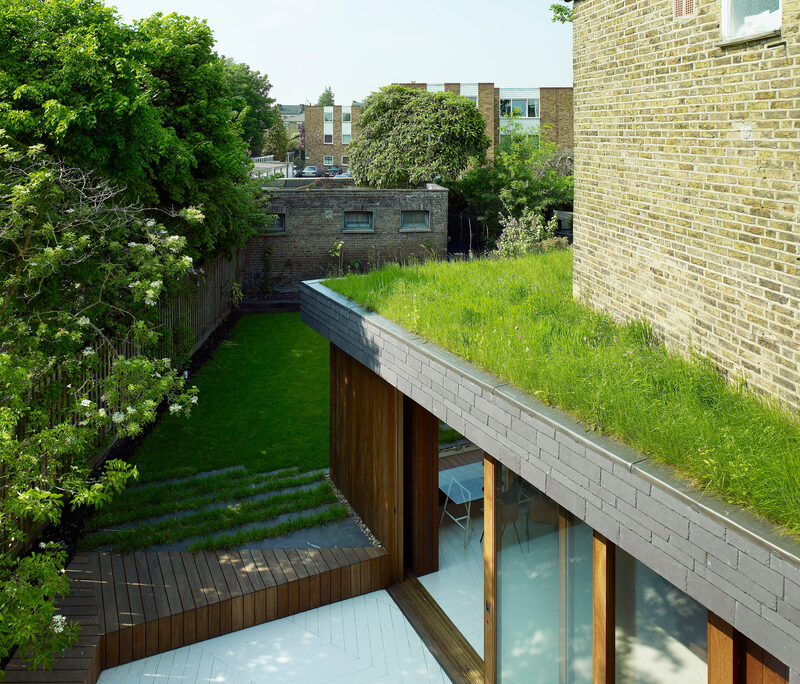 The lower ground floor level is dropped to provide a 2.8m floor-to-ceiling height that matches the proportions and sense of space of the existing house. The ceiling line is angled up towards the south-west and the afternoon sun. 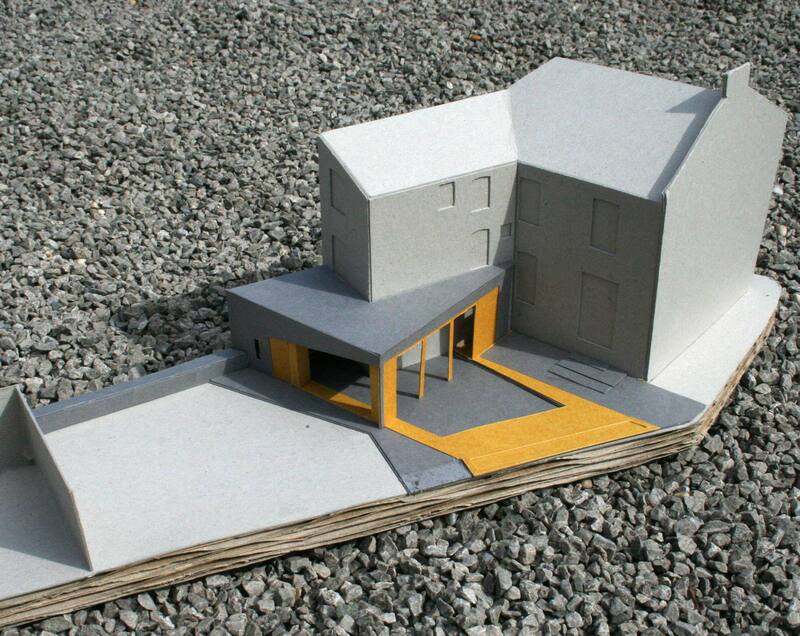 This in turn defines the angle of the slate cladding on the rear elevation. 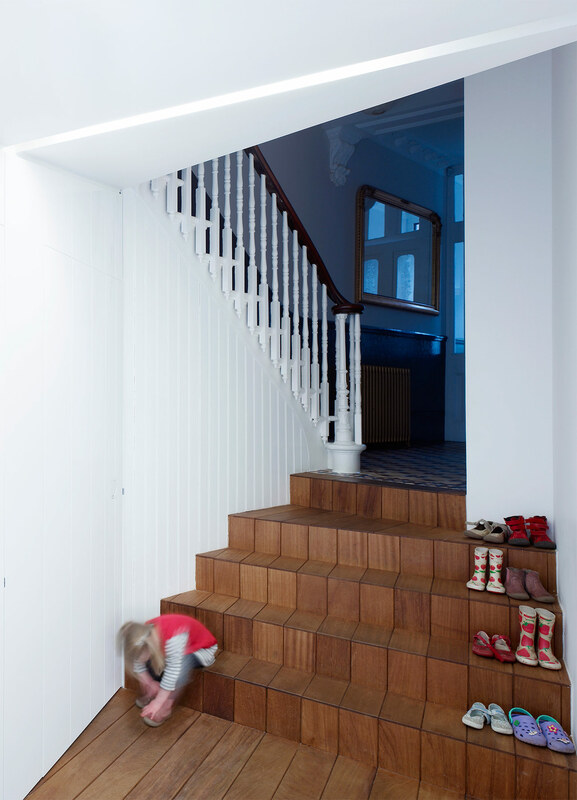 As one enters the house, the hall connecting the staircase to the existing house widens to provide ‘shuffle-space’ for someone coming out of the utility room with a laundry basket whilst the conventional timber floorboards used on the long stairs reduce in module size as they approach the original tiling in the entrance hall. 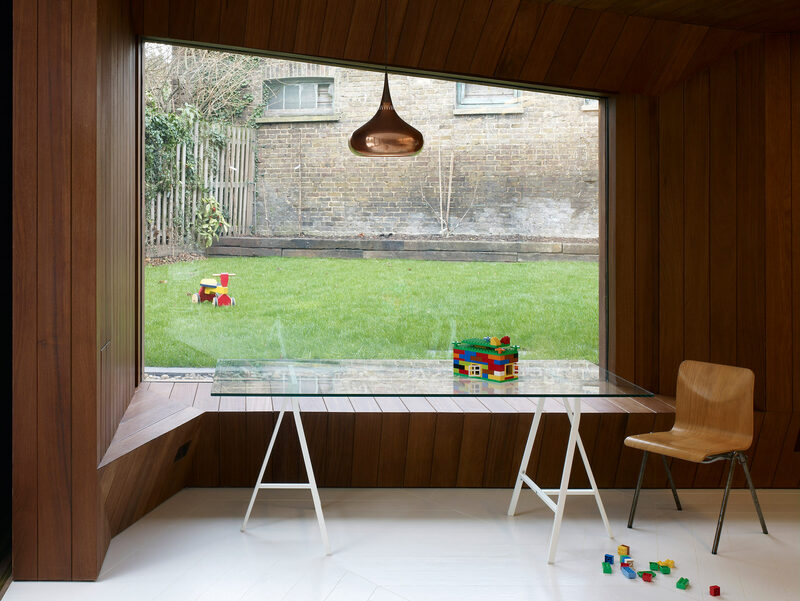 Inside the new kitchen and dining space, the formality of a space for dining is combined with the informality of a cosy window seat. 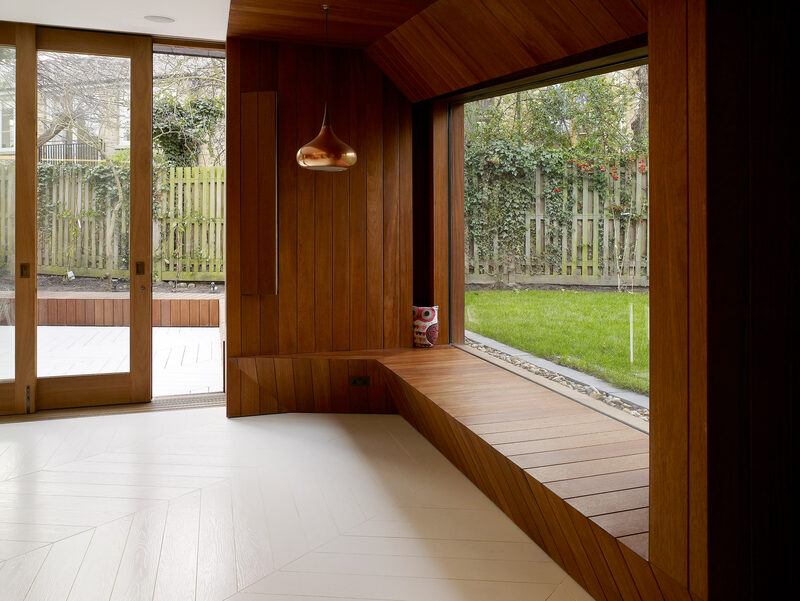 The seat itself appears sculpted and is lined in vertical timer boards to emulate traditional Victorian panelling. 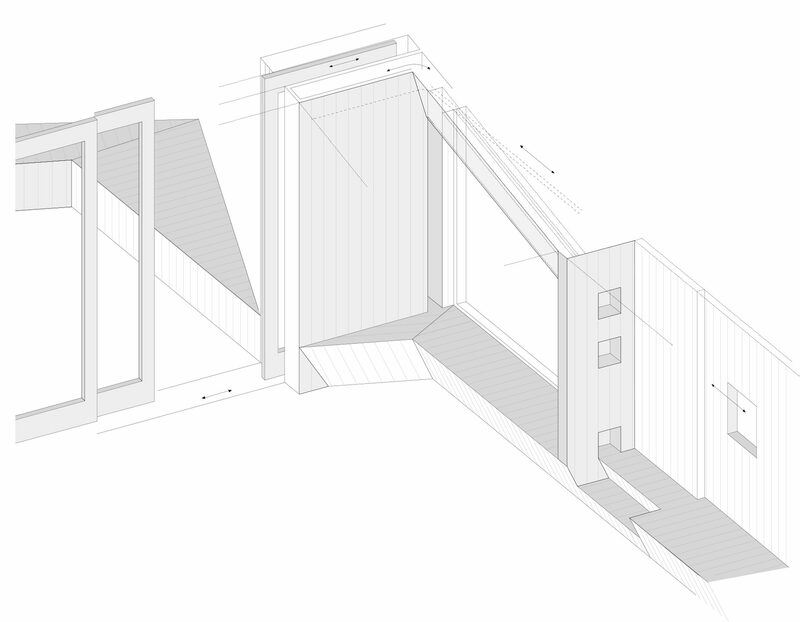 A curtain to the rear window is housed within the timber lining. 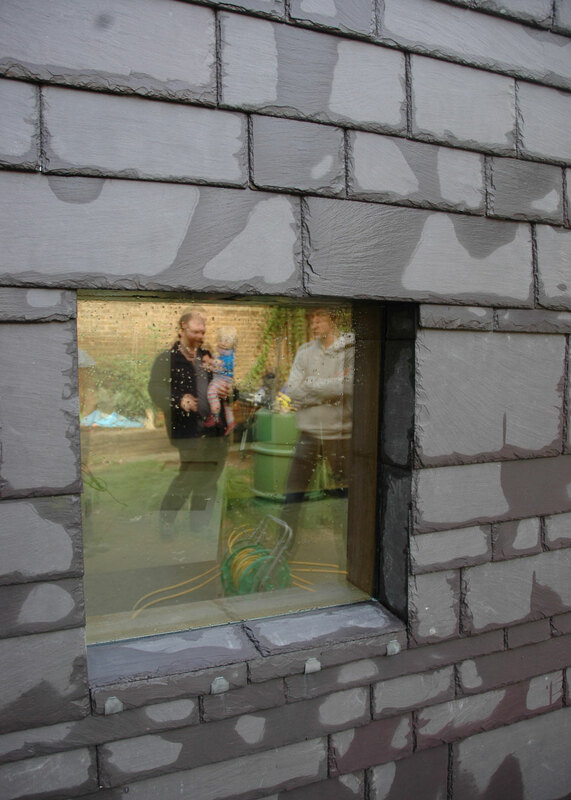 Natural slate – the existing roof material – is used as the external wall surface but the coursing varied to signify the fact that it is a cladding rather than load-bearing, like the existing masonry to which it abuts. 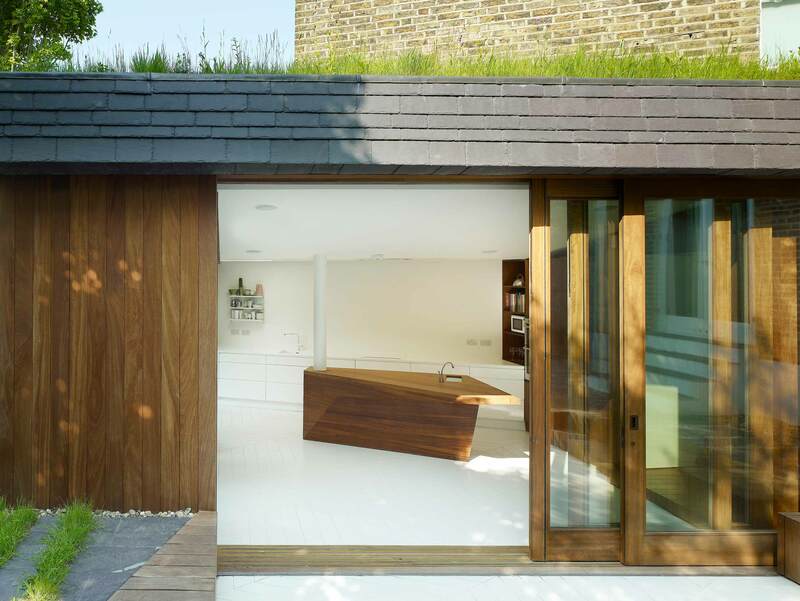 Externally the slate cladding is transferred to the garden with a scattered tile effect breaking down the traditional line between hard and soft landscaping whilst the white tiles laid in a herringbone pattern extending from inside to out.